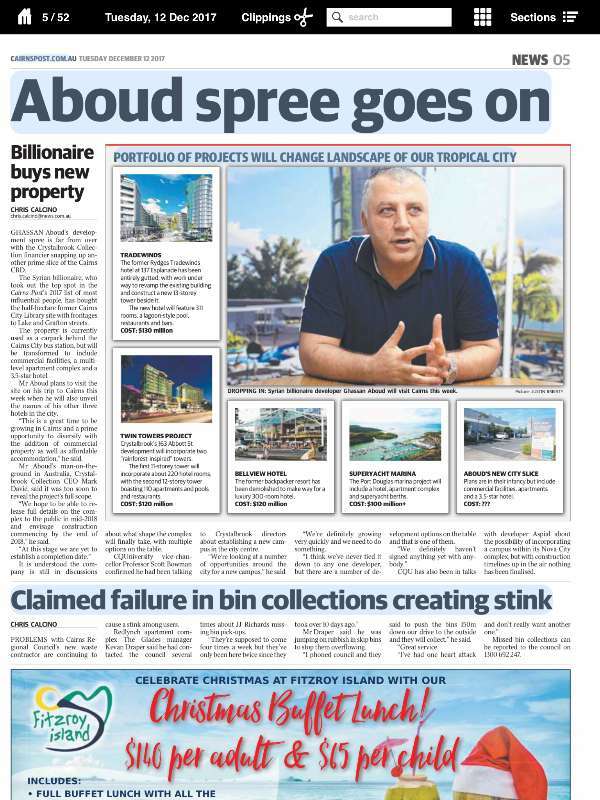 The Cairns Post newspaper published a news story about Ghassan Aboud’s ongoing “development spree” in Cairns, Queezland, after Mr. Aboud’s Crystalbrook Collection purchased a new prime CBD land in Cairns. The property is currently used as a carpark behind the Cairns City bus station, but will be transformed to include commercial facilities, a multi-level apartment complex and a 3.5-star hotel, according to Cairns Post. 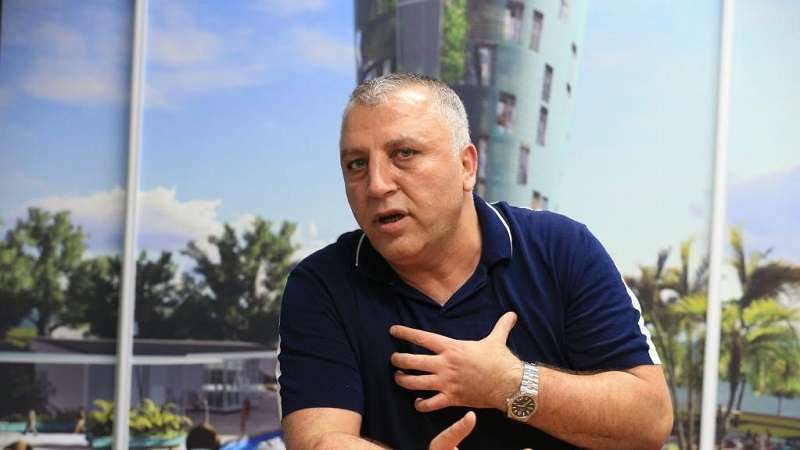 They added that Mr. Aboud plans to visit the site during a visit to Cairns this week, during which he will also unveil the names of his other three hotels in the city. “This is a great time to be growing in Cairns and a prime opportunity to diversify with the addition of commercial property as well as affordable accommodation,” he said. Mr. Aboud’s man-on-the-ground in Australia, Crystalbrook Collection CEO Mark Davie, said it was too soon to reveal the project’s full scope. “We hope to be able to release full details on the complex to the public in mid-2018 and envisage construction commencing by the end of 2018,” he said. Cairns post added, the company is still in discussions about what shape the complex will finally take, with multiple options on the table. The story, republished in the Daily Telegraph, also mentioned that Professor Scott Bowman, the CQ University Vice Chancellor, talked to Crystalbrook directors about establishing a new campus in the city-center.